Qualification: Post graduate degree in Economics or Applied Economics or Business Economics recognized University/Institute. Qualification : (i) Degree in Homoeopathy of recognized University/ Statutory State Board/ Council or equivalent recognized under the Homoeopathic Central Council Act, 1973 (59 of 1973). Qualification: Degree in Law from a recognize University or institution. DESIRABLE: i) Knowledge of Commercial Law. (ii) Experience of conducting Company Law cases. (iii) Government diploma in Company Secretaries. Qualification : Master’s degree in Anthropology of a recognized University or equivalent with evidence of specialization in Physical Anthropology. EXPEREIENCE: 1 year’s research experience in the field of Physical Anthropology. Qualification : (i) Master’s degree in Anthropology of a recognized University or equivalent. (ii) Diploma in Museology with about 1 one year’s practical experience in running a Museum or about three years’ practical experience in running a Museum. Qualification : Good academic record as defined by the concerned University with at least 55% or an equivalent grade in a point scale wherever grading system is followed at the Master’s Degree . Qualification : Master’s Degree in Electronics or in Physics with Electronics as special subject or Degree in Electronics & Communication Engineering from a recognized University or equivalent. EXPEREIENCE: Two years’ practical experience in production, development or quality assurance in the field of communication, radar, navigation, electronic test equipment and electronic components. Qualification : A qualification included in the Part I or Part II of Schedule to the Dentist’s Act, 1948 (Act 16 of 1948), (ii) A Post graduate Degree in Dental Surgery (Oral & Maxillofacial Surgery) from a recognised University/ Institution or equivalent, (iii) Should be registered with a Dental Council. (B) EXPEREIENCE: 3 years’ teaching experience in the speciality as Tutor/ Demonstrator/Registrar/ Senior Resident /Lecturer after requisite Post Graduate qualification. Qualification : A qualification included in Part I or Part II of Schedule to the Dentist’s Act, 1948 (Act 16 of 1948). (ii) Should be registered with a Dental Council. DUTIES: The duties assigned to Dental Surgeon are : i) Medical attendance with treatment of Central Govt. employees, member of their families, Central Govt. Pensioners, and other beneficiaries covered by the Central Govt. Health Scheme. ii) Looks after OPD and indoor patients. iii) Any other duties that may be assigned to them from time to time. Qualification : M.Sc. in Microbiology or in Pharmaceutical Chemistry from a recognized University or equivalent. Note: Degree equivalent to M.Sc. in Microbiology or in Pharmaceutical Chemistry from a recognized University is Nil. EXPERIENCE: 3 years’ experience in the manufacture and testing of biological products for human use. Qualification : Degree in Architecture of a recognised University/Institute or equivalent. Qualification : (i) Bachelor’s degree in Engineering/Technology in Electronics of a recognised University/Institute or equivalent. (ii) Two years relevant experience in Industry/Training in the field after acquiring qualification at (i) above including experience in the area of Training of Trainers OR (i) Bachelor’s degree in Electronics of a recognised University/Institute or equivalent. (ii) Post Graduate Degree/Diploma in Electronics of a recognised University /Institute or equivalent. (iii) Two year’s relevant experience in Industry/Training in the field after acquiring qualification at (i) above including experience in the area of Training of Trainers. Qualification : (i) A recognized Medical qualification included in the First or Second Schedule or Part II of the Third Schedule (other than Licentiate qualifications) to the Indian Medical Council Act, 1956. Holders of educational qualifications included in Part II of the Third Schedule should also fulfill the conditions stipulated in Sub Section 13 (3) of the Indian Medical council act, 1956. (ii) Post graduate Degree i.e. M.D. (Anaesthesiology)/ M.S. (Anaesthesiology)/ P.G. Diploma i.e. D.A. (Two years Course)/ FFARCS (by examination)/ Speciality Board of Anaesthesiology). EXPERIENCE: 1 year’s experience in the concerned speciality i.e. ENT after obtaining the Post- graduate degree or two years’ experience after obtaining post-graduate Diploma. Qualification : A recognized Medical qualification included in the First or Second Schedule or Part II of the Third Schedule (other than Licentiate qualifications) to the Indian Medical Council Act, 1956. Holders of educational qualifications included in Part II of the Third Schedule should also fulfill the conditions stipulated in Sub Section 13 (ii) Post graduate Degree in the concerned speciality i.e. M.D. Dermatology and Venereology, Speciality Board of Dermatology (USA)/P.G. Diploma i.e. D.V.D, D.D.V, D.V.&D. EXPERIENCE: 1 year’s experience in the concerned speciality after obtaining the Post-graduate degree or two years’ experience after obtaining post- graduate Diploma. Qualification : A recognized Medical qualification included in the First or Second Schedule or Part II of the Third Schedule (other than Licentiate qualifications) to the Indian Medical Council Act, 1956. Holders of educational qualifications included in Part II of the Third Schedule should also fulfill the conditions stipulated in Sub Section 13 (3) of the Indian Medical council act, 1956. (ii) Post graduate Degree in the concerned speciality i.e. M.S. (Ophthalmology), M.D. (Ophthalmology), Speciality Board of Ophthalmology USA/ PG Diploma i.e. D.O, D.O.M.S. Qualification : M.S, M.CH A recognized Medical qualification included in the First or Second Schedule or Part II of the Third Schedule (other than Licentiate qualifications) to the Indian Medical Council Act, 1956. Holders of educational qualifications included in Part II of the Third Schedule should also fulfill the conditions stipulated in Sub Section 13 (3) of the Indian Medical council act, 1956. (ii) Post graduate Degree in the concerned speciality i.e. M.S. (Ortho. ), M.Ch. (Ortho.) Specility Board of Ortho. Surgery (USA)/PG Diploma i.e. D.Ortho. EXPERIENCE: 1 years’ experience in the concerned speciality after obtaining the Post-graduate degree or two years’ experience after obtaining post-graduate Diploma. Qualification : Post graduate Degree in the concerned speciality i.e. M.D. (Pathology), M.D. (Pathology & Bacteriology), M.D. (Pathology & Bacteriology), M.Sc. (Pathology), M.Sc. (Medical Pathology), Ph. D. (Pathology), D.Sc. (Pathology) Speciality Board of Pathology (USA)/P.G. Diploma i.e. D.C.P, D.P.B. A recognized Medical qualification included in the First or Second Schedule or Part II of the Third Schedule (other than Licentiate qualifications) to the Indian Medical Council Act, 1956. 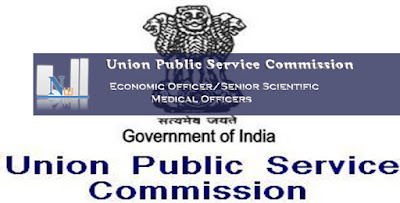 Holders of educational qualifications included in Part II of the Third Schedule should also fulfill the conditions stipulated in Sub Section 13 (3) of the Indian Medical council act, 1956. Qualification : (i) A recognized Medical qualification included in the First or Second Schedule or Part II of the Third Schedule (other than Licentiate qualifications) to the Indian Medical Council Act, 1956. Holders of educational qualifications included in Part II of the Third Schedule should also fulfill the conditions stipulated in Sub Section 13 (3) of the Indian Medical council act, 1956. (ii) Post graduate Degree/ Diploma in the concerned speciality mentioned in Schedule II or equivalent i.e. M.D. (Radio-diagnosis), D.M.R.D or equivalent diploma of two years duration/ DMRD or equivalent diploma of 1 year duration. EXPERIENCE: 1 year’s experience in the concerned speciality after obtaining the Post-graduate degree .2 years’ experience after obtaining post-graduate Diploma. DUTIES: Independently manage the concerned clinical speciality in all aspects including diagnosis, treatment and follow-up, conduct research, academic and developmental activities. Perform Administrative activities related to the speciality. Qualification : M.S (Surgery, General Surgery) (i) A recognized Medical qualification included in the First or Second Schedule or Part II of the Third Schedule to the Indian Medical Council Act, 1956. Holders of educational qualifications included in Part II of the Third Schedule should also fulfill the conditions stipulated in Sub Section 13 (3) of the Indian Medical council act, 1956. EXPERIENCE: 1 year’s experience in the concerned specialist after obtaining the Post-graduate degree. Qualification : A Degree included in Part I or Part II of Schedule to the Dentist’s Act, 1948 (Act 16 of 1948). Should be registered with a Dental Council. : Post graduate qualifications in dentistry from a recognized University or equivalent. EXPERIENCE: 3 years’ experience of dental work in a hospital or in private practice. Qualification : B.Tech/ BE in Mechanical Engineering from a recognized University or Institute. EXPERIENCE: At least 3 years research experience in Mechanical Engineering. Qualification : Good Academic record as defined by concerned University with at least 55% marks at the Master’s degree level in English & Communication Skills / English from an Indian University or an equivalent degree from an accredited foreign University. (ii) Passed the National Eligibility Test conducted by the University Grant Commission, CSIR or similar test accredited by the University Grant Commission like SLET/SET. Qualification: Degree in Law from a recognized University. Experience as a Public Prosecutor/Government Advocate. Experience: 3 year experience at a Bar. Fee : Candidates are required to pay a fee of Rs. 25/- only either by remitting the money in any branch of the SBI by cash or by using net banking facility of the SBI or by using master credit/debit card.